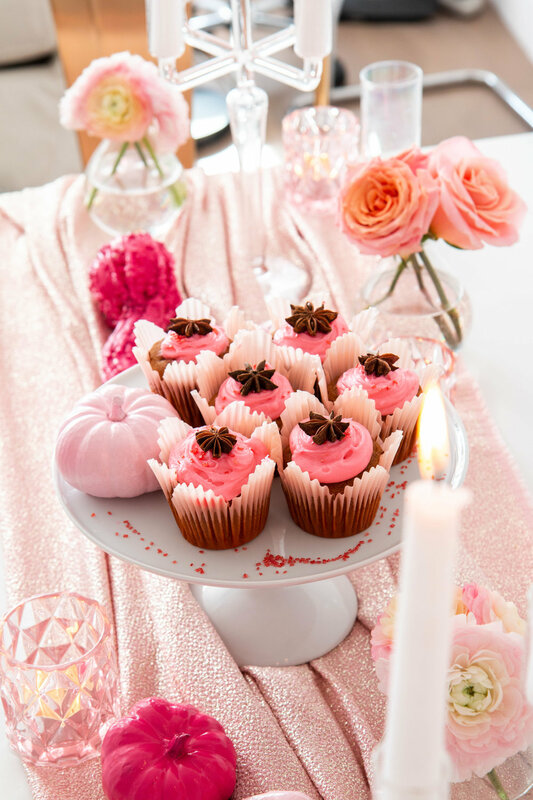 If you’ve been following our recent blog posts, you probably saw our gorgeous Pinkgiving tablescape. Because whoever said you have to follow the rules of a traditional Thanksgiving color scheme?! We love pink and we wanted our celebration to reflect that. My contribution to the table was a simple salad, and more importantly, DESSERT! Everyone who knows me understands I have a serious sweet tooth, so the holidays are my time to shine. I love to bake and get creative with my recipes. This time, I was able to bake something delicious AND beautiful, since the theme was pink. 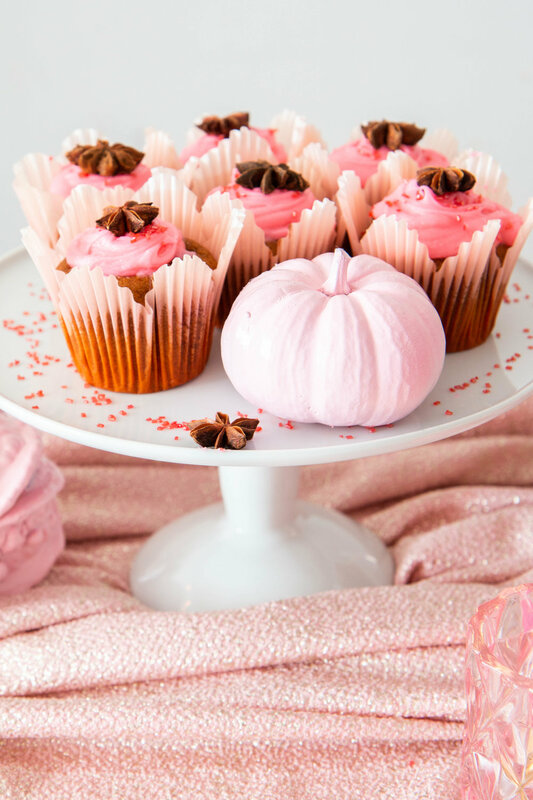 My solution was to follow a traditional pumpkin muffin recipe but make the frosting pink to match our table. Preheat your oven to 350 degrees. Mix your flour, baking powder, baking soda, salt, cinnamon, nutmeg, and cloves in one bowl. 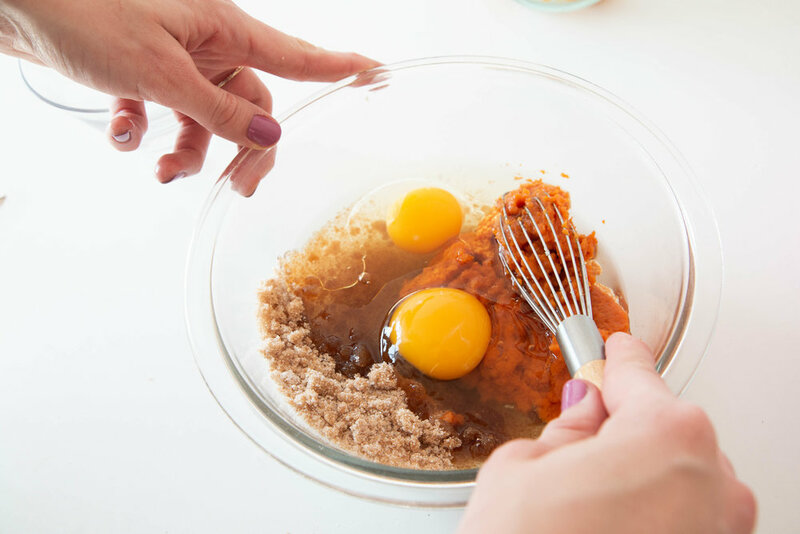 Beat together your canned pumpkin, eggs, sugars and oil in another bowl. Slowly add your dry ingredients to the wet ingredients, stirring as you go to fully incorporate it. Once mixed well, separate evenly into muffin liners and bake for 18-20 minutes. 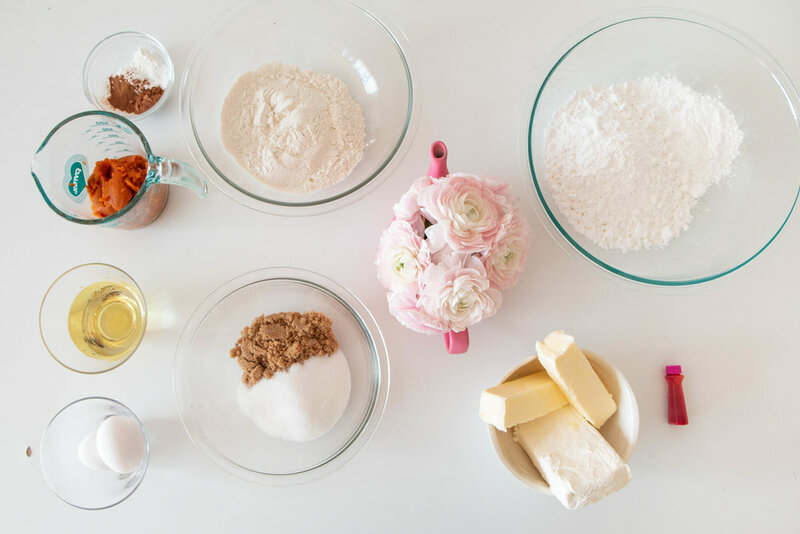 While they’re baking, prepare the frosting by mixing the butter, cream cheese, vanilla extract, salt, powdered sugar, and pink food coloring. Start off with 3 drops of coloring, and add as you go until you’re satisfied with the saturation. Once you take out the muffins, set them aside to cool. Add your frosting to a plastic bag, clipping off the tip so you can pipe it onto the muffins. If you’re feeling fancy, garnish them with star anise!